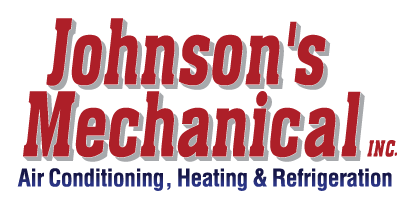 Commercial Ventilation, Winter Haven, FL | Johnson's Mechanical Inc. Commercial Ventilation, Winter Haven, FL | Johnson's Mechanical Inc. Protect your HVAC investment and the air quality in your Winter Haven business with our commercial ventilation services. You might not realize it, but there is quite a bit riding on the commercial ventilation in your Winter Haven, Florida business. The system circulates the air, creating a flow throughout your building that goes through the heating and air conditioning units. If this air is impeded in any way, be it debris, allergens, dust, dander or other contagions, this affects everyone in your building, as well as the system itself. At Johnson’s Mechanical Inc., we offer regular commercial ventilation inspections and cleaning that will safeguard your business in a number of ways. First of all, proper commercial ventilation will protect the health of any staff, vendors, and customers who spend time in your building. Those who suffer from allergies, in particular, will thank you. Secondly, dirty commercial ventilation makes your system run harder, which is a two-fold problem. It will cost more energy to run, driving up your utility bill, and it will wear it out sooner, leading to repairs and early replacement. Finally, dirty commercial ventilation often puts off an odd smell, and that is not going to be endearing to your customers or your employees. This could cost you business or result in some key personnel finding work elsewhere. At the very least, it hurts your company’s image, which can have long-term consequences. We have provided commercial ventilation services for the Winter Haven area since 1982, so you can count on our expertise and professionalism. Call us today to arrange an inspection and/or cleaning or to get on a regular maintenance program for your heating and cooling system.